The Republic of the Congo, also known as the Congo Republic or simply the Congo, is a country in Central Africa. Not to be confused with the neighboring Democratic Republic of the Congo, it is bordered by five countries: Gabon to the west; Cameroon to the northwest; the Central African Republic to the northeast; the Democratic Republic of the Congo to the southeast; the Angolan exclave of Cabinda to the south; and the Atlantic Ocean to the southwest. 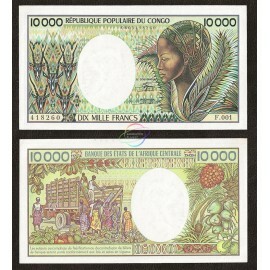 Congo Republic There is 1 product.